TCS are a distributor of DuPont™ Plantex® Weed & Root Barriers. The DuPont™ Plantex® Weed & Root Barriers range are high quality, chemical free landscape fabrics and root barrier membranes, offering complete solutions for professionals tackling invasive root andweed issues like Japanese Knotweed, Giant Hog Weed & Himalayan Balsam. Quick and easy installation: can easily be cut and folded to required dimensions with clean cut edges. DuPont™ Plantex® Gold is an aesthetically appealing bi-coloured, non-woven Polypropylene weed control barrier for long lasting, highly effective and chemical-free weed control even against tough weeds such as couch grass, horsetail and bindweed. 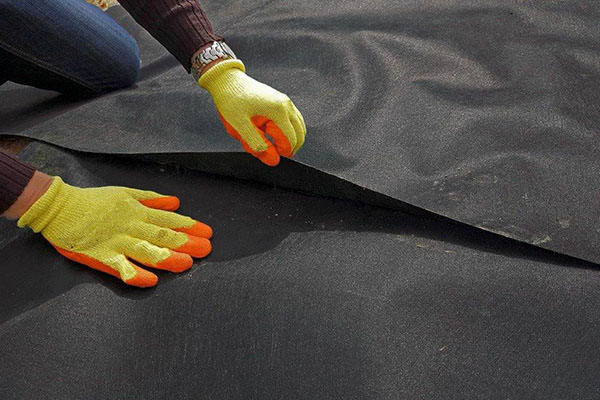 This brown and black fabric allows air, water and nutrients to pass through and thereby lets the soil and plant roots breathe while keeping the weeds at bay. Plantex® Gold is ideal for application on slopes where it can be used covered as well as uncovered. The brown/gold colouring gives the fabric a more natural look. Plantex® Gold weed control barrier is very strong, light and versatile and Dupont predict that it will be durable for at least 4 years when exposed to sunlight in the Central European climate zone, so potentially longer in the UK. When fully covered and protected from UV the fabric is guaranteed by Dupont to last for at least 25 years. Applications include any area where weed suppressant is required but Plantex® Gold is particularly helpful on slopes where mulch will not stay in place and adjacent to ponds and other bodies of water where chemicals are particularly undesirable. Please refer to installation guide for details. Note that contact with herbicides and pesticides should be avoided. With its performance enhanced intrinsic strength, DuPont ™ Plantex® Platinium is resistant to the most aggressive weeds. Whether its Japanese knotweed, couch grass, reed, giant reed, giant hogweed, marestail, horsetail, bamboo or Himalayan balsam, Plantex® Platinium will deliver the resistance required. Following numerous test by DuPont’s R&D team over several years in natural environments, no perforation or regrowth through the fabric has been observed. 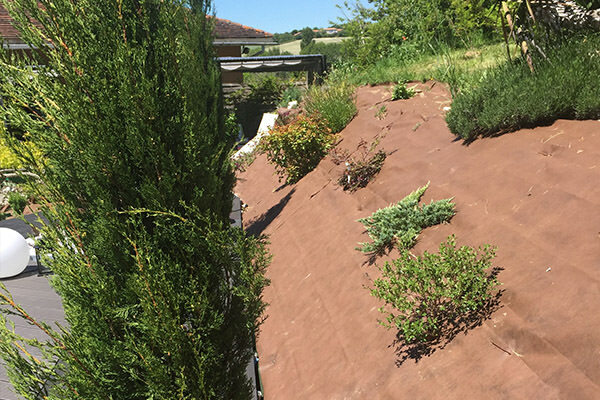 Once correctly installed on an area contaminated by invasive plants, Plantex® Platinium does not require any maintenance, unlike alternative solutions like periodic chemical treatment or physical removal. While providing an effective barrier against invasive plants, Plantex® Platinium crucially still remains permeable to air and water. 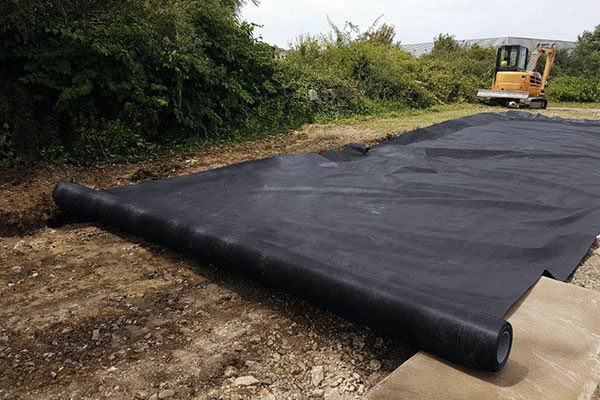 This permeability prevents trapped water and associated issues, as can occur readily with a closed impermeable membrane system allowing Plantex® Platinium to be installed horizontally without these concerns . 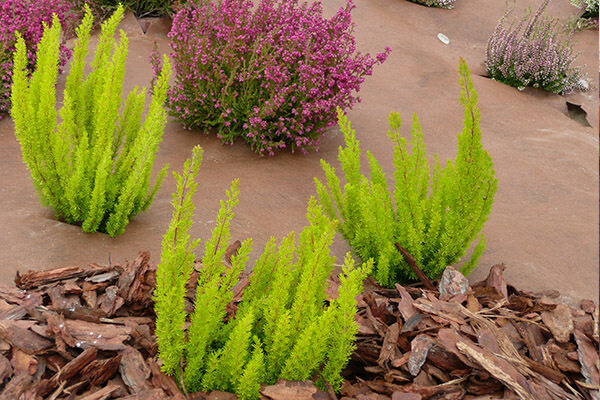 The water and air permeability is ecologically sympathetic as it ensures respect for the natural balance of the soil by maintaining its biodiversity. Trapped moisture will be able to evaporate naturally through the Plantex® Platinium thus preventing condensation under the fabric which can lead to mould and degradation of the soil. Furthermore the soil temperature will not be affected (less greenhouse effect). Plantex® Platinium has a very strong tear resistance and is highly resistance to damage, which is clearly particularly important during installation. Due to the fibre structure and manufacturing method even cuts that are introduced intentionally will not propagate to a larger tear. Dupont predict that Plantex® Platinium will be durable for a minimum of 8 years when exposed to sunlight (UV) in the Central European climate zone. Proper and effective use of DuPont™ Plantex® Platinium nonwoven fabric requires that the installation recommendations are followed. It may be installed horizontally either on flat land or on sloped embankments, in which case additional considerations may be required. Please ask for a copy of the installation guide before commencement of any works. Avoid Plantex® Platinium coming into contact with any herbicides or pesticides. 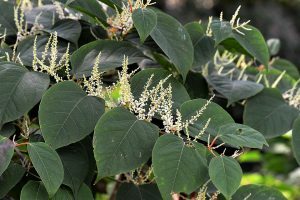 Experts know how difficult it is to eradicate Japanese knotweed. This is why DuPont has gathered its best products and expertise to provide a complete solution against the nuisance of invasive plants: Plantex® Platinium for control of the plant above ground, Plantex® RootBarrier to confine the root and rhyzomic system below ground. DuPont™ Plantex® RootBarrier is a coated non-woven impermeable membrane, ideal for preventing invasive growth and damage by aggressive plant roots, e.g. bamboo. By resisting the penetration of aggressive rooting plants and trees, Plantex® RootBarrier protects underground drainage, sewage, piping and cable systems, patios, paved areas, asphalted surfaces as well as buildings and utility channels from root invasion and damage. This strong and robust, spun-based material will contain invasive root growth without damaging the plants or harming the surrounding materials. 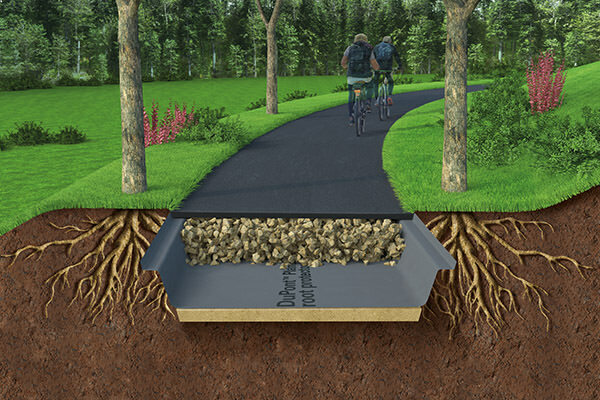 DuPont™ Plantex® RootProtector is an air and water permeable non-woven root barrier, making it ideal for horizontal installations such as cycle tracks, green roofs, paths, roadways and drives. 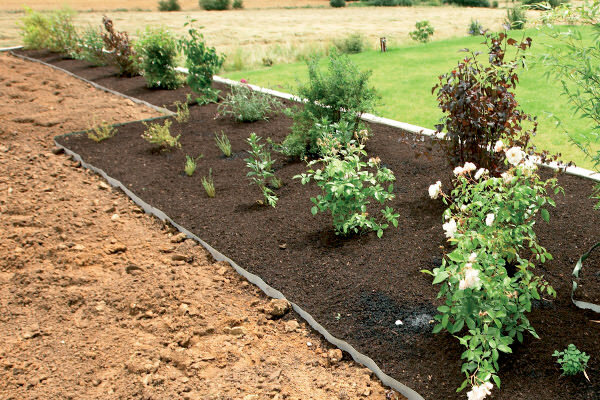 DuPont™ Plantex® RootProtector backed by over 40 years of DuPont expertise and unique technology providing better root resistance compared to other tested water permeable solutions on the market. The water permeability of our membrane ensures a free flow of water in the soil avoiding, trapped water, hydrostatic pressure issues & poor load resistance in wet areas which can so often be an issue with impermeable membranes. 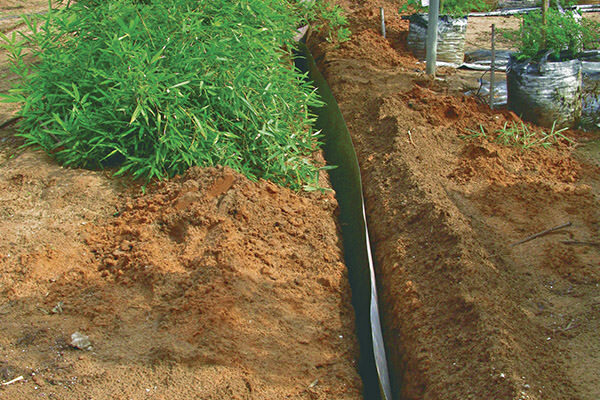 Improved water, air & nutrients supply, compared with impermeable barriers, allows for a harmonious development of all root system architecture. Allowing efficient drainage helps maintain the stability of foundations, structures, slopes, earthworks and infrastructure. 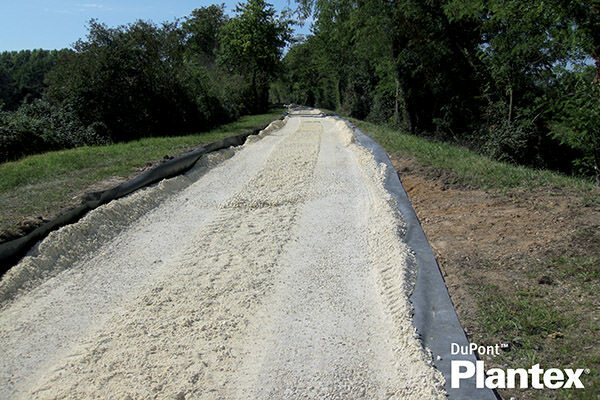 DuPont™ Plantex® RootProtector is an easy to shape solution which will fit perfectly to the shape of excavated trenches and ditches and is available in widths up to 5.2 m to cover extensive areas with a minimum number of joints. For critical vertical applications such as protecting buried linear networks or where plants have rhizome systems, the use of DuPont™ Plantex® RootBarrier, impermeable root barrier is recommended.